During 2015 I used a Hilleberg Enan on Coast2Coast Sweden in May. The weather was cool and nights were usually only a couple of degrees above freezing. So I was not surprised that condensation was actually dripping in my face some mornings. 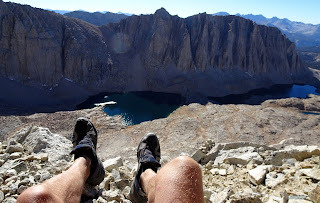 In October I hiked the John Muir Trail in California. 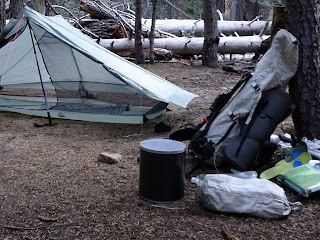 I used a Gossamer Gear The One for shelter. A single skin tarptent it weighs less than half of the Hilleberg Enan, which is classic double wall very stable mountain tent. The One, with excellent ventilation, usually is not very condensation prone. But temperatures around, and sometimes below, freezing made it drip on my face some mornings as well. So I decided to construct the ideal shelter for forests, where there is less need for storm-worthy tents. And also for temperatures were condensation is very, very difficult to avoid. A lot more on the background for this tent you will find in this blog post. Gossamer Gear The One with pack and bear canister on the JMT. It all started with fabrics. To the right Cuben fiber (these days branded Dyneema) intended for the floor. Three sqm, weight 60 grams.To the right the yellow rip-stop nylon that would make up the walls and roof for my innertent. 10,5 sqm at 280 grams. For all synthetics, and I do not use other materials for my sewing, I use a soldering iron and a steel ruler for cutting, on top of my stainless steel kitchen sink. Cuben can be sewn, but when you want to connect Cuben to Cuben it is usually better to use a special tape. I wanted a bath-tub floor for my innertent, so I used tape in the corners like this. Then I cut the extra material in the corners away. Time to start cutting the ripstop nylon. Same ruler and same soldering iron. When all the cutting is done, all that remains is to insert the zippers and sew the pieces together. It takes a while. In case you are wondering about the rain fly, I already had that. It is a Cuben tarp I made a couple of years ago. I weighs 200 grams including some pretty long guy-lines. The two zippers in an L formation creates the entrance. I often cook in the tent and only opening the horisontal zip allows me to do this even in bug infested areas without getting terrybly invaded. The idea behind this construction is as follows. In low winds in the forest (most of the time) I will use a high pitch like the one shown. This means that air will circulate freely under the rain fly, minimizing condensation. Hard wind and driving rain is seldom a problem in the forest, should they be I can get into a low pitch by shortening the telscopic poles. In a very low pitch the inner will sag quite a bit. We'll see how that works. 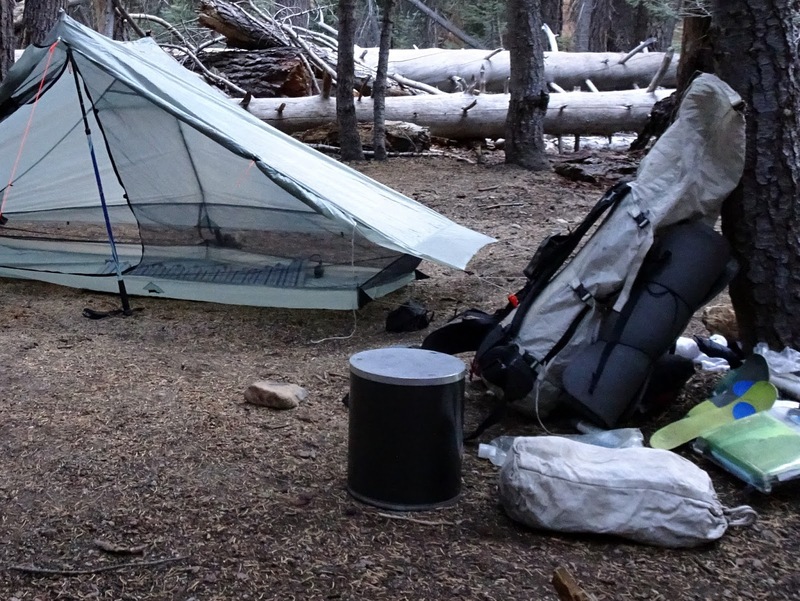 To sum things up: The entire inner tent weighs 310 grams and the fly weighs 210 grams. The size of the fly is 3x2,6 meters. A total of 520 grams plus pegs. This is pretty light, although I had hoped to stay below 500 grams.The ripstop nylon inner tent is not water proof, it will let out moisture from the inhabitant (or inhabitants, in a pinch two people can fit into it). It is also solid ripstop all around with no bug mesh. A solid fabric makes for a warmer tent in cool surroundings, particularly if there is a wind. A solid tent wall will also keep saturated air out better than mesh. This is more important with temperatures around freezing, when the air outside the tent can be damper than the one inside. For warmer weather I have an innertent made for my MLD Trailstar that is solid ripstop about 0,5 meters up from the ground (for wind protection while sleeping). The upper portion of the innertent is mesh, which makes for better ventilation and view. So, in cool weather the windproof ripstop will keep the wind and outside moisture out. It will let moisture from the inside out. 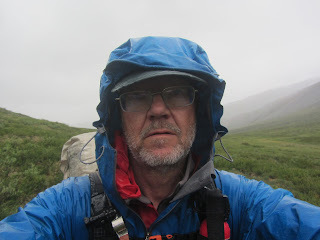 If there still is condensation inside the inner tent (and there will be on occasion) the vertical walls at head and foot and the high ceiling will keep this moisture further away from my face. Less chances of it draping over me or dripping. More important, the chances of keeping my sleep system dry are better in this rather spacious inner tent. The above is, so far, theory based on my experience. It will be nice to see if it works in the real world. I can already see that I made the inner tent a bit too high and also, was not able to fit the different pieces of fabric together in a way that kept the walls from sagging. So let us be modest and call this a prototype.